Simple and stylish wet weather protection -- some folding required. The Origami Rear Fender fits practically any bike and is easy to install: just punch, fold, snap and ride. This unique design comes attached in a flat rectangular sheet, so once you pop it out, it simply folds into shape. Next, just clip the Origami Rear Fender into the included seatpost bracket, and you're covered. The ultra-light construction won't weigh down your ride and fits virtually all seatposts. It even packs down to fit in a backpack when not it use. Length: 445mm (17.5"). Weight: 160g. I have two of these, one lives on a bike overseas. I bought a second one, and it is even better, they changed the material on the strap that cinches the fender to the seat post, and it holds better than the original, and the company then replaced the strap for my old one. Excellent. 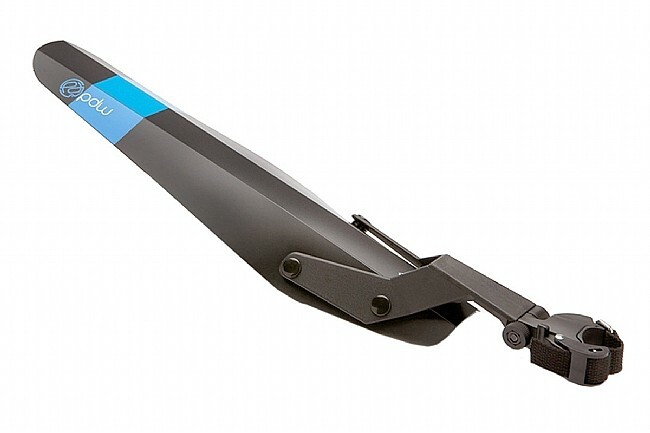 Got this rear fender to match the Origami front fender on my CX bike that doesn't have fender mounts as I ride this bike in the wet off season and gravel rides so looking for something unobtrusive yet solid. Lightweight and solid but deducted a star as the strap that helps lock it to the seat tube tends to fall off when not in use as I take it off when carrying bike on a rack, etc. This works great for days when it is a little wet and keeps the crud from hitting my back! I bought this fender to bring along on a week long tour. It easily snaps apart and back together. So, it's easy to pack in a bag. I used it a couple of times during the tour. It performed well, keeping my backside free from road spray. This rear fender is very easy to set up and adjust, and offers excellent protection against rear wheel spray. The seatpost grippper stays firmly in place, so you don't have to deal with it sliding mid-ride and exposing you back end to water. 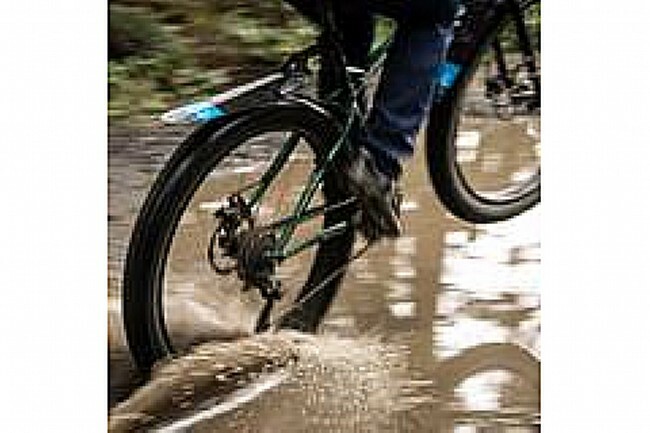 The fender itself also detachesre-attaches to the mounting bracket, which makes the fender versatile for changing conditions like a wet ride to work and a dry ride home. I'm very happy with the protection this provides to my backside. Easy to take on and off and recommend not always leaving it on the bike. Very easy for a thief to remove. I appreciate the ability to remove and store the flat, foldable portion of this fender in a back pocket (or anywhere else) without removing the clamping mechanism. It's a feature I wouldn't have thought I wanted but I've ended up putting it to use a lot. Smart stuff, PDW, as usual. I'm not sure about durability but if I haven't updated my review, it means there were no issues. Nearly perfect fender, it's light, effective, easy to change between bikes, and it can fold away for easy storage. Not very theft-proof, but it's survived 4 months of parking in downtown Washington DC.